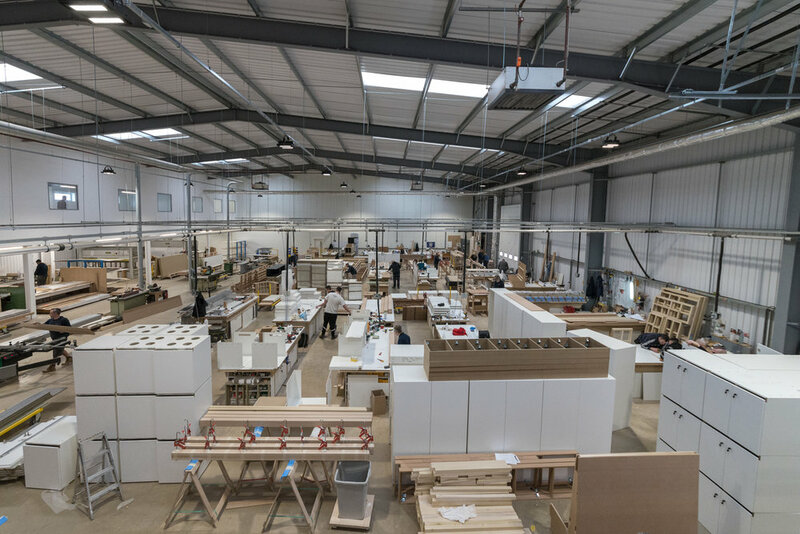 We are continuing our behind the scenes series of our new HQ in Market Harborough, this time taking a look at the main hub of our whole operation - the factory floor. 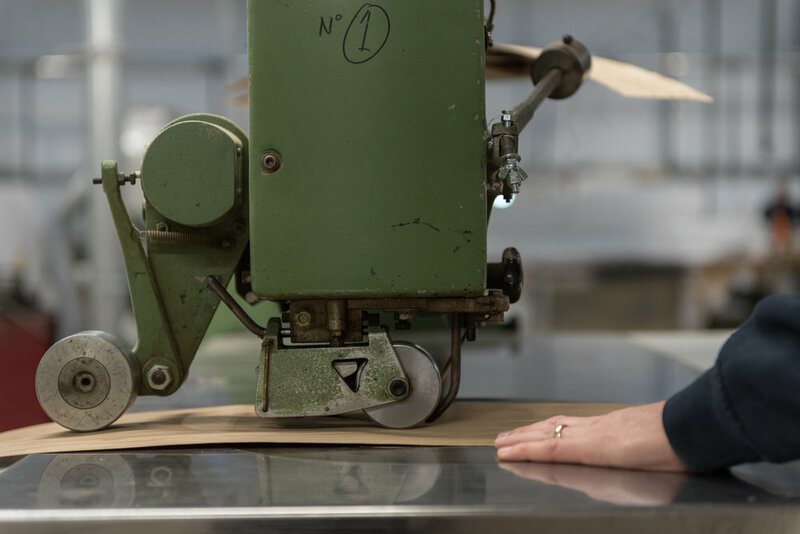 One of the biggest improvements highlighted in our 2017 year in review article was the 60% increase in manufacture space since the move from Great Glen. Our workspace is not only larger but custom designed to aid workflow, thus greatly increasing our operational efficiency. This means we expand our capabilities in terms of output and project constraints. For example, one of the first items leaving the factory was the banquette seating for Condé Nast International, which was manufactured with ease in a significantly more spacious environment. Prior to completion of our new site, Thorpes completed the purchase of Omnis Exhibitions, gaining their staff, machinery and expertise. Renowned for an ethos of problem solving and practicality the former Omnis team have been seamlessly incorporated into our workforce and have added their own unique skill set to our own. The merger was well timed for a number of reasons, one such being that various individuals from both companies were consulted on the design of the new joiners benches. This was to ensure that not only would our specialist joiners have a spacious environment but all the attachments and necessary storage to ensure productivity was maximised. 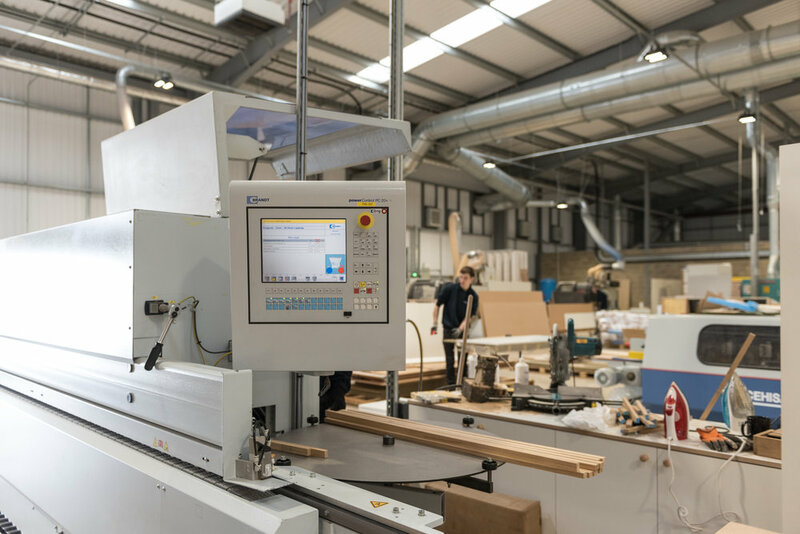 Along with the bench joiners, our veneer department has also seen a significant change. There still exists the perfect blend of traditional and modern equipment but in a more spacious and ergonomic environment. This has provided the facility for our veneer technicians to create even more complex designs, excellently showcased within our board room table. A modern facility such as ours deserves equally modern machinery within it. 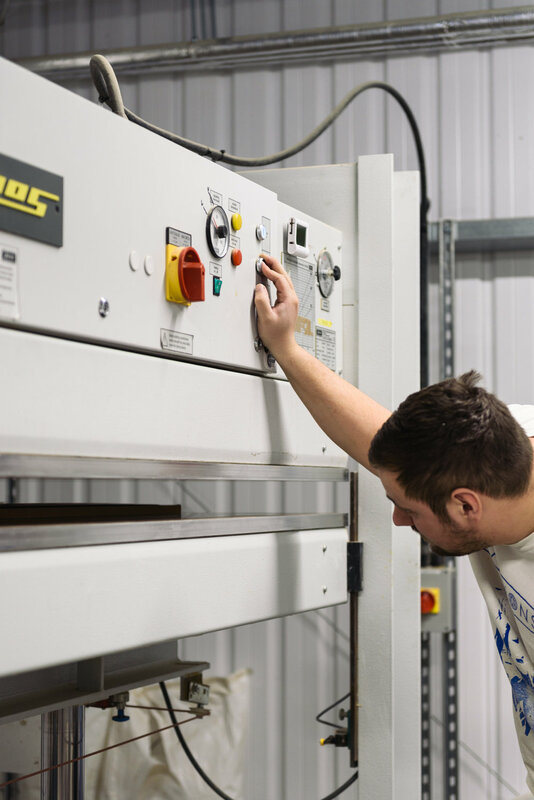 To that end, we have made significant investment into new equipment, including an entirely new spray shop and increasing our CNC capability by 200%. With manufacture for multiple projects in full swing we are already seeing the benefits of our move and we are delighted to say this has been noticed both internally and by our clients - true testament to our move. 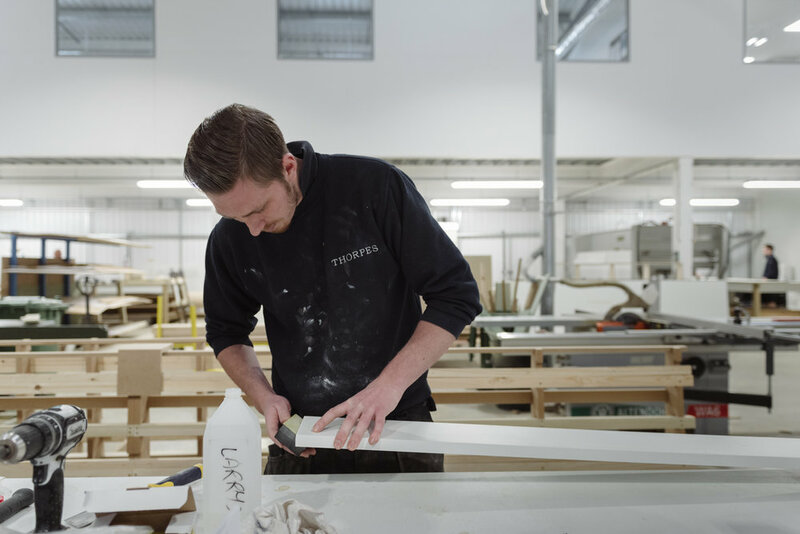 Keep checking our website and social media to see more in depth looks behind the scenes here at Thorpes Joinery, as well as project images, company news and more.